How an Examinee Prepares for Board Exam? "If you are not ready to go to war, don't put on your combat clothes" (J. Stanford). A quotation that proves that preparation, among other things, has always been the key to winning any battle, so as with making it big in any board exams conducted by any commission. We ran a call from our Facebook fan page members, mostly board passers, on how they prepare for board exam and we're deeply overwhelmed with below informative thoughts. 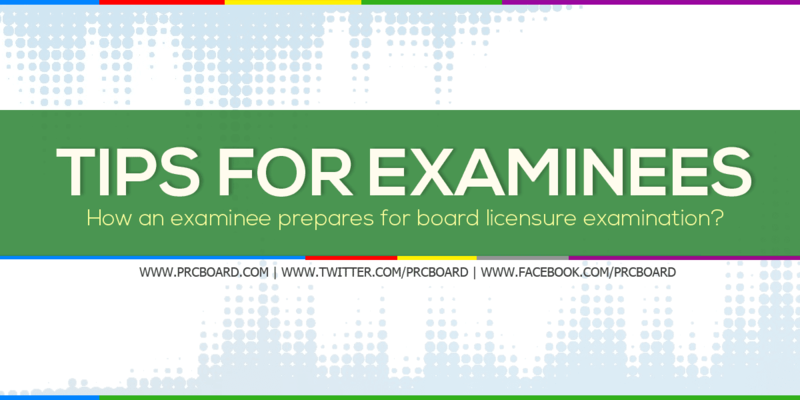 If you are a current examinee or planning to take board exam in the future, these will surely be of big help. I recently passed the BLEPP, thankfully taking the 10th place. There is no substitute for hard work. We know that any board exam is difficult but we fail to acknowledge the effort that this demands. One thing that helped me through the entire process is focusing on what I don't know yet instead of counting which things I already know. There will always be another reference text worth reading.